At the end of our Wild Waterways Photo Safari this year we spent two nights in the town of Livingstone, Zambia which is very close to the Victoria Falls (about 10 minutes by car). The Victoria Falls are an amazing sight. While we were there I could only imagine the thoughts that must have gone through Dr. David Livingstone’s head when he first laid eyes on this natural wonder. As I missionary I am sure his choice of words would have been a lot tamer than mine, but suffice to say I was quite bowled over by this spectacle. 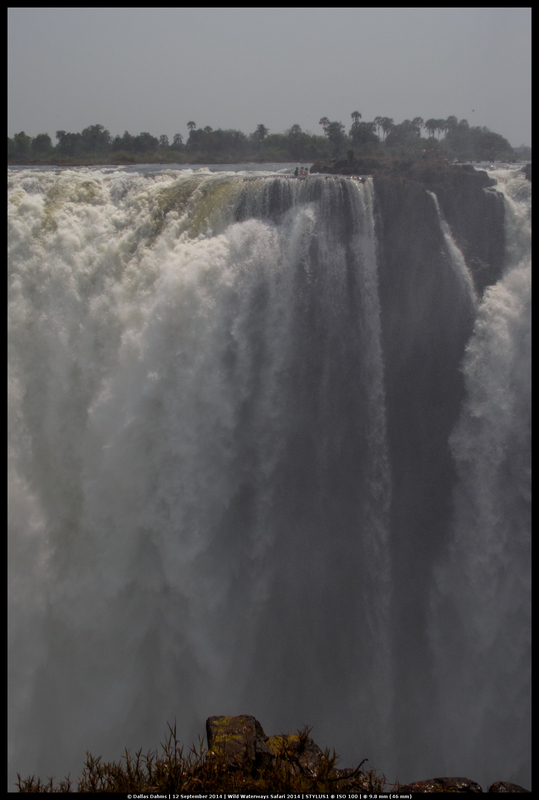 The falls are approximately 1.7km long and they form part of the border between Zambia and Zimbabwe. We visited the Zimbabwean side of the falls where the view is much better. From that side you can take a walk along a paved footpath through the rain forest to several lookout points from which to observe the falls. Depending on the time of year it gets very wet up there because of the spray. These falls are over 100m high in most places so the water gets quite airborne. 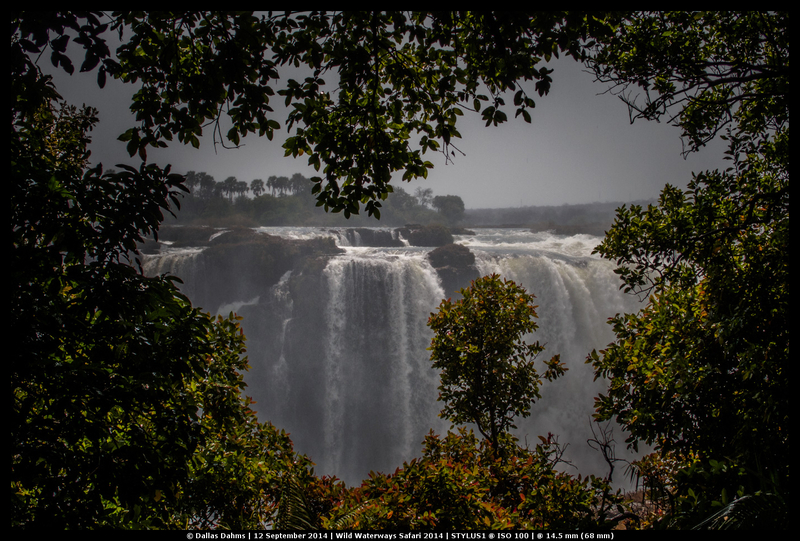 They call the falls Mosi-oa-Tunya, which means “the smoke that thunders” for good reason. It’s loud! The image above shows people swimming in the area known as Devil’s Pool, which is right on the edge of the falls. I don’t think I would have the fortitude to swim up to the edge of that pool, thank you very much. If you’ve never been there Victoria Falls is definitely worth a visit and we highly recommend it as a great way to end your time in Southern Africa. You can do a multitude of things at Victoria Falls, including taking a microlight flight over the falls, white water rafting, bungee jumping and much more. We offer a 3 night safari package to Livingstone, Zambia that is an ideal extension to one of our other safari packages. Go check it out, you’ll be glad you did.